It’s easy to forget that you’re not invincible — that you’re a human that’s capable of making mistakes whose capable of being involved in a car crash. It could be because of bad luck or because you weren’t prepared for the road enough — regardless, it’s important to understand what to do if you do crash. 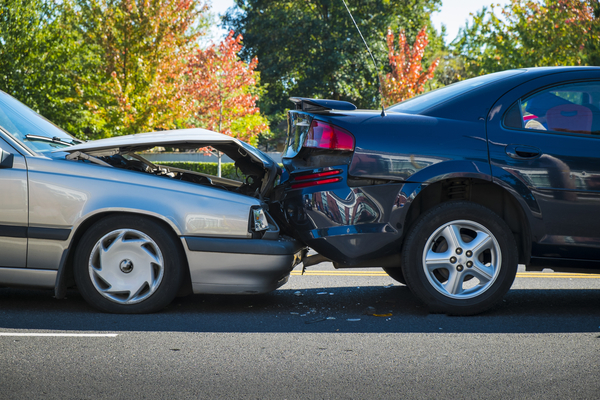 The first thing you need to do is to make sure another crash doesn’t occur in the area. This might not come intuitively, but a crash in the road is a hazard that people might not be prepared for. In order to ensure the safety of others, remove everything that could possibly break and fall from the crashed vehicles such as debris and broken glass. While doing this, make sure that you’re safe. The next thing is to switch off the ignition of the crashed vehicles to ensure that there’s no risk of fire and to switch on hazard warning lights. This is to make sure other cars are more alert to the situation and understand that they should be careful. Depending on the situation, there’s a chance that the Police may observe and analyse the crash. If you feel that there has been significant damage to property, especially one that will cause a hazard — make sure to call the Police. If this does happen, make sure that you provide the Police investigating the crash with as much information as possible. This includes all details of the crash that you recollect as well as the personal details of yourself, the other party and any witnesses. If the Police don’t attend the crash, understand that you should report the crash as soon as possible within 24 hours. While this might seem scary, it’s important to understand that you won’t get into trouble and that they’re an organisation who is trying to understand and help in the situation. The most important part of interacting with the other party is to exchange details. It is required for both parties to provide each other with names, addresses, license details and vehicle registration numbers. At this stage, it’s also important to note the other owner’s licence plate number and to also make sure your licence plate is provided to the other owner. At this stage, make sure you take several photos of the crash scene for future references so there are concrete details of the crash. This is important to reduce the amount of hearsay in the situation. If the crash is severe and a tow truck is needed, a driver is required (unless injury prevents them) to arrange for the towing of their vehicle. If you have insurance, it’s important to contact your insurer and make arrangements with them. Understand that situations like these happen and that you can move on from the crash. There might be a lesson to be learnt and there might not. Regardless, it’s important to not panic, to understand the process and the best next moves to make in the situation. The LTrent Safer Drivers Course can also assist NSW learners with safe driving behaviours and how to handle distractions through 3 hours of theory and 2 hours of practical driving sessions. You can find course dates and times here.